Rental car reviews used to be something I wrote up on Facebook. Just something to share between friends. I travel at least a week a month so I normally have an overview of some type of car. I spend four days driving it and get an overview of how the car performs and feels. I’ve decided to move these reviews over to my personal blog for better showing any images I may have, and let’s be fair, the interface to writing on WordPress is so much better than the writing interface used by Facebook. 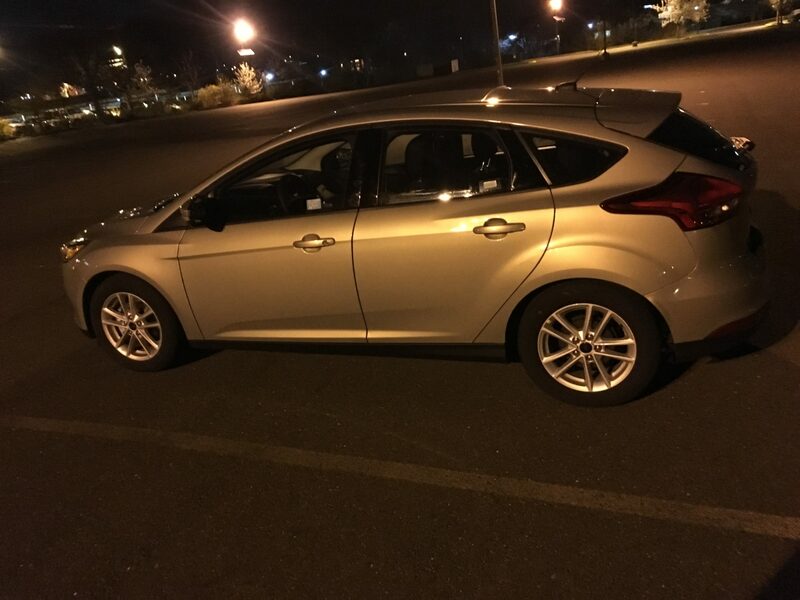 During the last week of March I drove a Ford Focus Hatchback. The last time I was in one of these was back in 2002. I wasn’t a fan then, and this current trip didn’t convince i need to trade in for one today. In all fairness though, I’m a bit biased. I’m not a Ford fan at all. This comes from growing up in a town where everyone worked for Ford. Since everyone worked at Ford (except my family), everyone drove a Ford. I was burnt out even before I was a driver. Since becoming a driver, my impression hasn’t been turned around. The Ford Focus they gave me was the five door hatchback. It has the problems that I have with most small cars, it seems jittery. After getting accustomed to either large cars or sports cars – compact cars seem a bit unsure of themselves. I’ve owned compact cars – so this is par for the course. While I don’t like, have owned them. So if this is your preference, it is par for the course. During my driving (almost all in-town and rare highway) I was getting about 31 MPG. My normal car (Dodge Charger AWD V8) get’s about 22 MPG in the same environment. My 2004 Miata was still getting 30MPG with over 100k on the odometer. I honestly was expecting to get closer to 38-40MPG. This is part of the problem when people consider small cars. Since smaller car rev higher – those higher RPMs use more gas. Now at cruising speed they will use less gas. However if the car is underpowered using the gas pedal to get up to speed will use more gas than maybe a car with a larger engine. Beyond tat initial acceleration a small engine will always use less gas if it is properly sized for the car. The one example I can turn to is the V6 2005 Grand Cherokee. This engine configuration actually get’s 2MPG less than the V8 configuration. 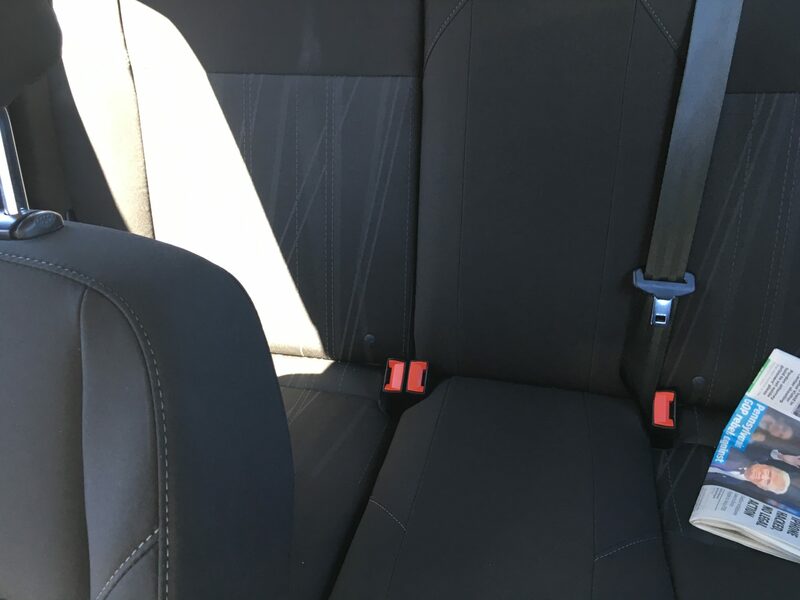 While it is a compact car the space in the rear seat is terrible. When i was growing up my family owned a few small cars. The back seat never seemed squished when I was growing up. However, this focus had the leg room in the back that would rival a third gen Camaro in the game who has the least amount of space. If you were thinking about getting one for a family, definitely pay attention to this. 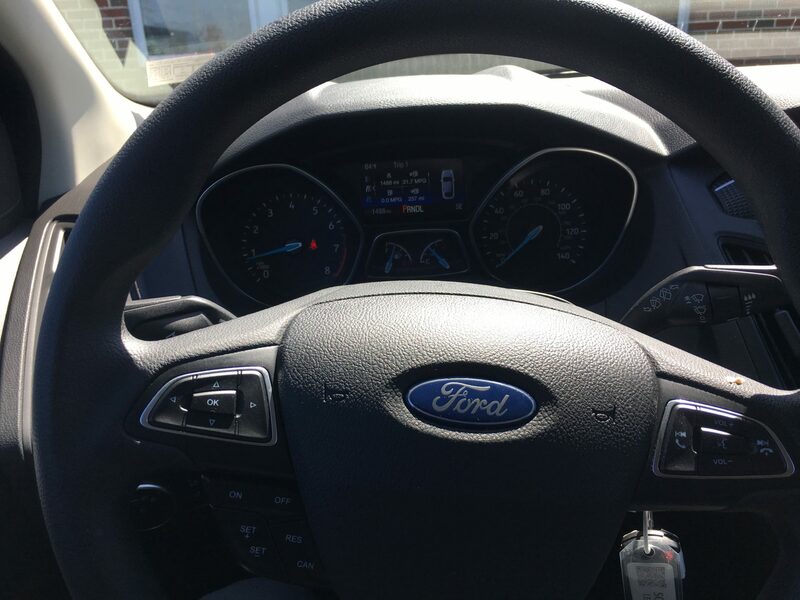 My largest complaint though about the car is the gear shifter visual location. 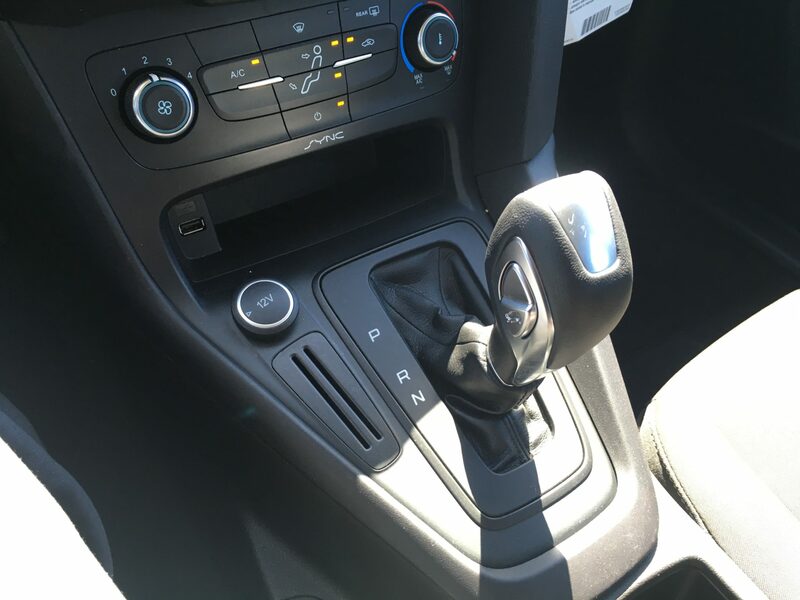 In the picture above the shifter looks like it is in Neutral. However, it is actually in Drive. The worst part about this (even though the picture washes out the D and the L) is that there is a Low below Drive. When I first pulled out the rental car location it was driving me nuts how high the engine was revving. This is when I discovered that the shifter looks to be in a higher position than it actually is. It could be the leather boot around it that obscures it’s actual position. Overall it’s a normal point A to point B car. Back in my very early twenties, that’s what I thought a car was for. I was a point A to B person for vehicles. Now they are extension of myself in so many ways. I appreciate this car what it is, a standard car without frills. It’s one of the first rental cars I’ve had where you can’t disable traction control (most the time you won’t see a difference in the compact whether that’s on or off). I did chirp the tires once getting out of someone’s way. Beyond that it was predictable and reliable without trying to overcompensate in anyway. That has it’s good and bad depending on what type of driver you are.